If you live in Norwich, you’ve encountered Demo Sofronas. You might not know it — but face it, the man and his works are everywhere. Maybe you’ve watched him crossing kids to Marion Cross in the morning. Or stopped to ponder the new monument honoring Norwich residents who served in the armed forces post-Vietnam, which he helped create. Or you read his “About Norwich” blog on DailyUV, which knits townspeople together. Or you’ve seen him at the Norwich Fair, sat on one of the benches he helped put together behind the library, or come across some other Norwich Lions Club service project he’s been involved in. Or you encountered him when he was postmaster here. Or you’ve used the library, on whose board he sits. Or, until a month ago or so, you watched the Selectboard on CATV—though you wouldn’t have seen Demo, because he was the guy behind the camera. Here’s the other thing about Demo: If you do have occasion to work with him, you can count on two things — he’ll always be upbeat, friendly, and constructive; and he doesn’t wait to be asked to roll up his sleeves. If there’s a building project, he’s got hammer in hand. If things need setting straight or organizing, he plunges in. If a conversation is getting testy — on a nonprofit board, planning some volunteer event, in a town gathering — he cheerfully reminds everyone that we’re all just trying to do the best we can, and that everything will turn out okay. Plain and simple, Norwich would not work as well as it does without him. 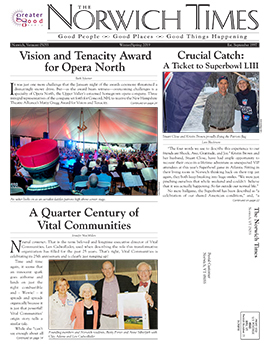 All of this may be why, when the Norwich Citizen of the Year Committee asked townspeople for nominations this year, the “Demo!” emails came flooding in. 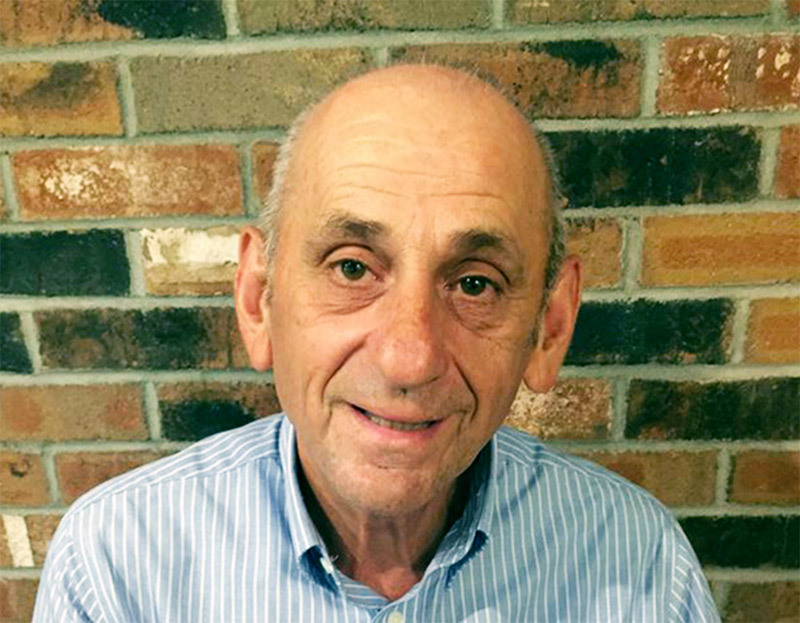 And it is also why the committee is tickled pink to be able to announce that Demo Sofronas is the 2019 Norwich Citizen of the Year. When you see Demo around town, please congratulate him. The committee is equally pleased to say that we’re also honoring two town employees, Recreation Director Jill Kearney Niles and Police Chief Doug Robinson, whose longstanding contributions to the quality of life in town are so overwhelming that naming them Stewards of Norwich can’t even begin to describe their impact. Both are stepping down this spring, and we’ll miss them tremendously. Jill has been running town recreation programs for 26 years. It’s tempting to say that all you have to do is look at any recreation brochure to see her impact: a range of programs and resources for kids and adults that towns twice this size would envy. 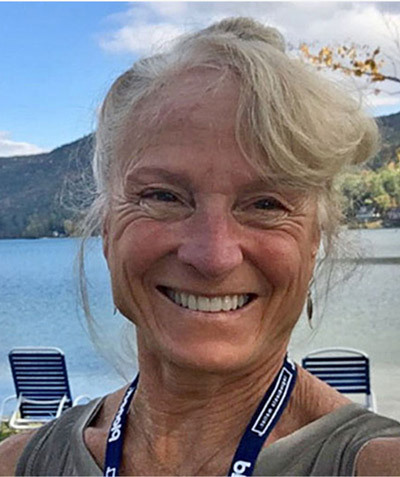 But her impact has actually been far greater: She’s not only made it possible for townspeople and their kids to exercise, learn a sport, and learn the life skills that sports can teach, she’s also set a tone of generosity and good will. 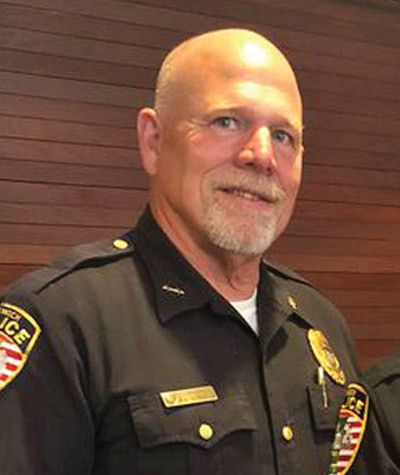 By comparison, Doug is a short-timer, having worked for the Norwich Police Department for a mere 17 years — the first three as sergeant, then 14 years as chief. There’s a lot we could say about how Norwich has benefited from the shift he led to a community-centered model of policing, and about the ways in which he encouraged the town’s police officers to serve Norwich as resources as well as law enforcers. But Doug will probably be remembered most for his sheer humanity and compassion. So please! Make sure you come to the Norwich Women’s Club Gala on Saturday, March 16 from 6 to 10pm, as the town comes together to honor and celebrate Demo Sofronas, Jill Kearney Niles, and Doug Robinson.